Green Button: Based on a challenge from the White House, Green Button was developed to give customers timely access to their energy use data. I worked with the vendor, CANDI Controls, on the first release of the PowerTools mobile app to iTunes and Play, writing app content and working with the team to improve the app’s usability. I also developed the SDG&E website content, including the vendor documents for the Green Button initiative. Reduce Your Use Thermostat: a smart thermostat that can be controlled online or through your smart phone, which was the first offering of its kind for our customers (2013-2014). I wrote the marketing plan for this program, including audience segmentation, messaging and budgeting. 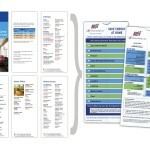 Reduce Your Use Rewards: Customers can earn a bill credit for reducing their energy use on hot summer days (2011-2014). I wrote the marketing plan for the roll-out to all of our 1.3M customers in 2011. Based on existing generic savings statements (i.e. “lighting is up to 20% of your energy bill”), I worked with our engineers to research and develop these Top 10 Tips to help customers better understand their energy use. 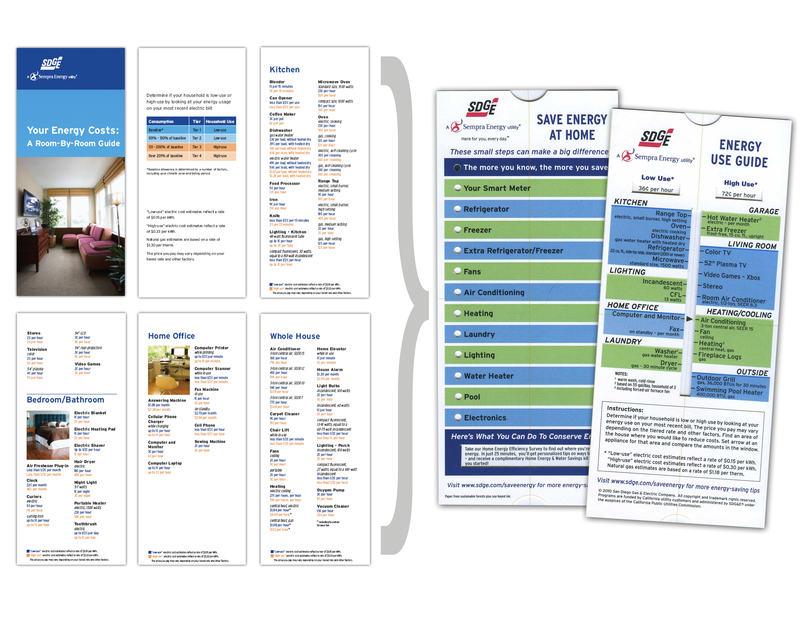 Working closely with our vendor, I structured content and validated data for this promotional item that was created for use at customer events. Customers liked the easy-to-use quick reference format, with popular home appliances and electronics.